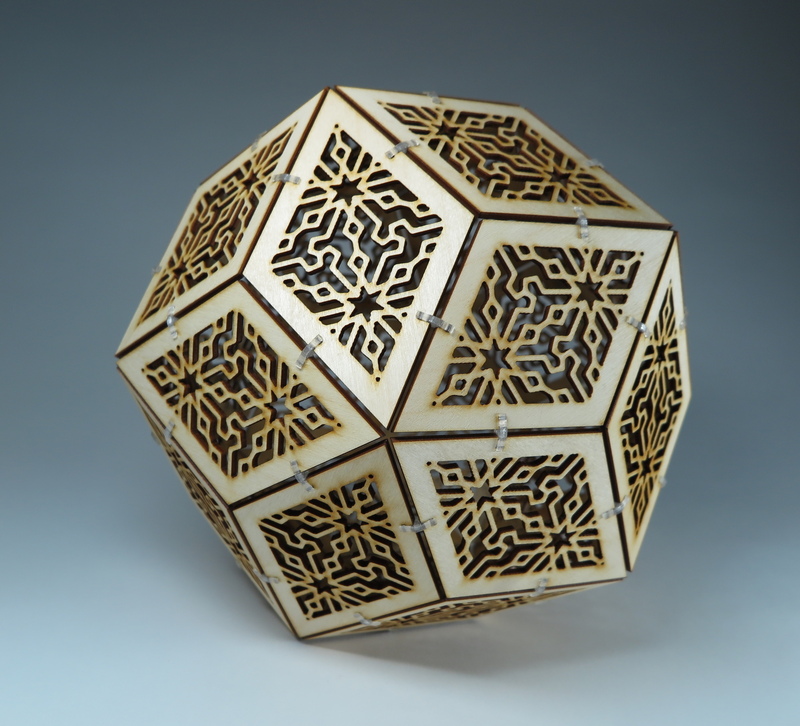 David Kaufman wanted to create a design tool that would make it easy to create repeating patterns that could be used in laser-cut (or other CNC or 3D printable) designs. The result is the Polygonia Design Suite. This free web-based app allows you to draw a few lines, and the Polygonia software clones and mirrors those lines to create your design. You can then save your design to your desktop as an image or vector drawing. From there, the design is ready to use or you can continue working on it within your favorite design software. I have been working on a project to make it easy to create symmetrical patterns for laser cutting. It all started in May 2017 when I visited the Smithsonian Museum, in Washington, DC, where I saw an exhibit by an artisan from Afghanistan who made wood panels or screens of triangles, hexagons, and squares. I wanted to make my own using the laser cutter at my local makerspace, Nova Labs. So I got out a pad of paper, brushed off my high school math skills, and got to work. My goal was to create an online app that generates a symmetrical pattern based on the lines I draw, calculates the intersections of the lines, connects the lines, and generates a vector output file that I could use on a laser cutter. The program is fun to play around with, doodling designs, whether you plan to render them out in the real world or not. To access Polygonia, you need to register on the site or use your Google account to sign in. To see a gallery of the lovely things being created with Polygonia, follow David on Instagram. Mtomsky’s laser-cut art runs a gamut, from sweet, modest brooches like the $20.70 woodland squirrel to larger, more ambitious sculptural pieces from the wonderful mounted fish ($290); to massive spectacular pieces like the Warm Welcome ($580) and the hugely ambitious Deep Slumber ($4041). Constructable is an experimental laser-cutter from the Hasso Plattner Institute in Potsdam. It uses a light-pen to direct the cutting beam, so that you can draw the cuts freehand, in realtime, rather than designing a pattern that is fed to the cutter.